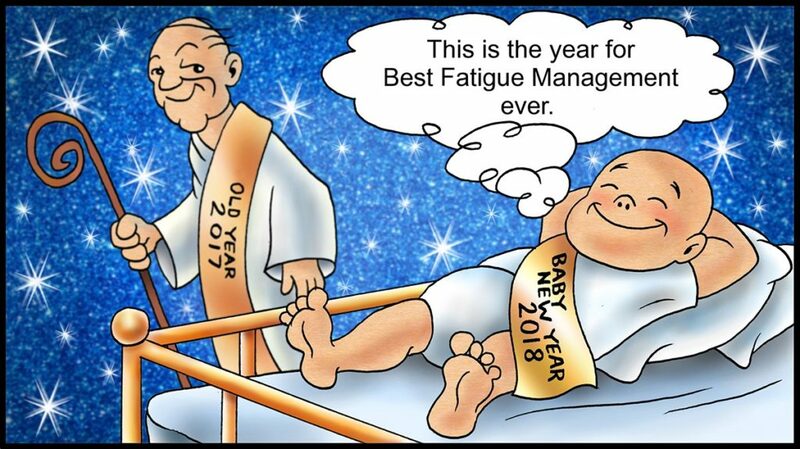 A brand new year begins, and the big baby in the drawing indicates “this is the year for Best Fatigue Management ever.” There are numerous articles in print and electronic media about goals, resolutions, and plans for improvement. 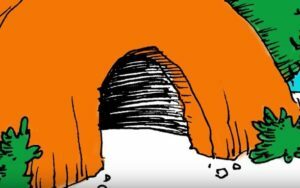 Some of those articles mention the importance of the best fatigue management strategy: GET AN ADEQUATE AMOUNT OF SLEEP. What does it mean to get a fresh start when it comes to sleep? Saint Paul advises “forgetting what lies behind and reaching forward to what lies ahead.” Do we reach forward to something better for us or do we continue our same habits? Others would advise learning from the past and avoiding previous mistakes. I believe humans are slow learners and make similar mistakes again and again. Maybe I am the only one who repeats my mistakes when it comes to the self-care areas of sleep, exercise, diet, and relaxation. Am I? A fresh start could include thinking about the reasons some of us do not get an adequate amount of sleep. For some of us, it is a choice. For others, circumstances affect the amount of sleep we get. I read lots of books, including books on sleep and fatigue management. In Why We Sleep: Unlocking the Power of Sleep and Dreams, Matthew Walker indicates, “human beings are the only species that deliberately deprive themselves of sleep for no apparent gain. Many people walk through their lives in an under slept state, not realizing it.” Have you made a choice to avoid sleep in order to do some other activity? We all need about eight hours of sleep out of every 24-hour day. Millie is almost two and has celebrated Christmas with exuberance and energy followed by long naps. On Christmas Eve, her parents woke her after she had been asleep for three hours because the relatives had arrived. She wanted to continue sleeping, but it was family time. The circumstances affected Millie’s energy and her mood. How is your mood if you do not get enough sleep? Toddlers need about 12 hours of sleep out of every 24-hour day. A fresh start could include a health checkup with your doctor or a sleep specialist, particularly if you are experiencing problems sleeping. 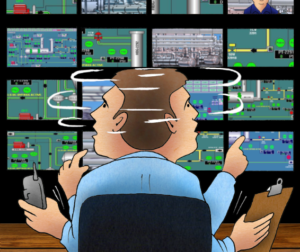 Some shiftworkers have sleep difficulties. Begin the year by scheduling an appointment in the next month. Keep a sleep diary or use a sleep tracker for a few weeks so you will have data to discuss with the doctor. A fresh start could include becoming more educated about fatigue management strategies for your individual needs. 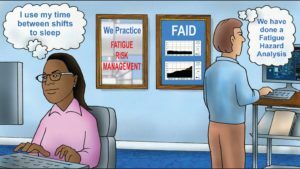 Although companies are providing fatigue management training for some employees, that training is often a course with the same content over and over again. Therefore, individuals could set a personal goal to read books and/or study online materials about sleep, shiftwork, and other relevant materials. My health conscious and fitness-oriented colleagues might be upset if I neglected to mention other areas that affect fatigue management. A fresh start could include an evaluation of our exercise, nutrition, and hydration habits and a commitment to eat less, move more, and drink plenty of water. Perhaps a new year is time to change my motto from “never pass up a fried pork rind” to only occasionally enjoying a few pork rinds. A fresh start does not have to involve drastic changes. Meaningful, incremental changes are more likely to be longer lasting.